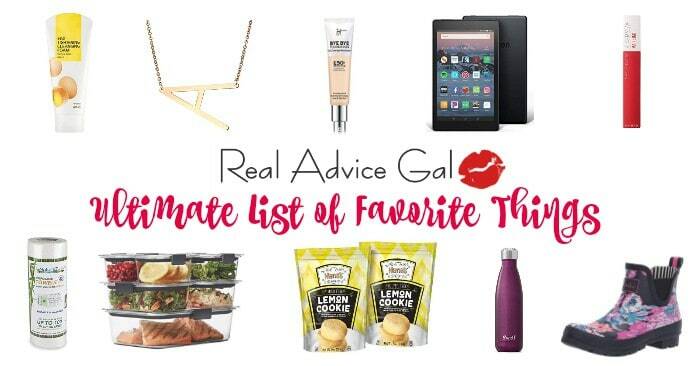 A lot of you know that I have recently started doing Weight Watchers and I’m always looking for yummy recipe to share with my family and with you guys! 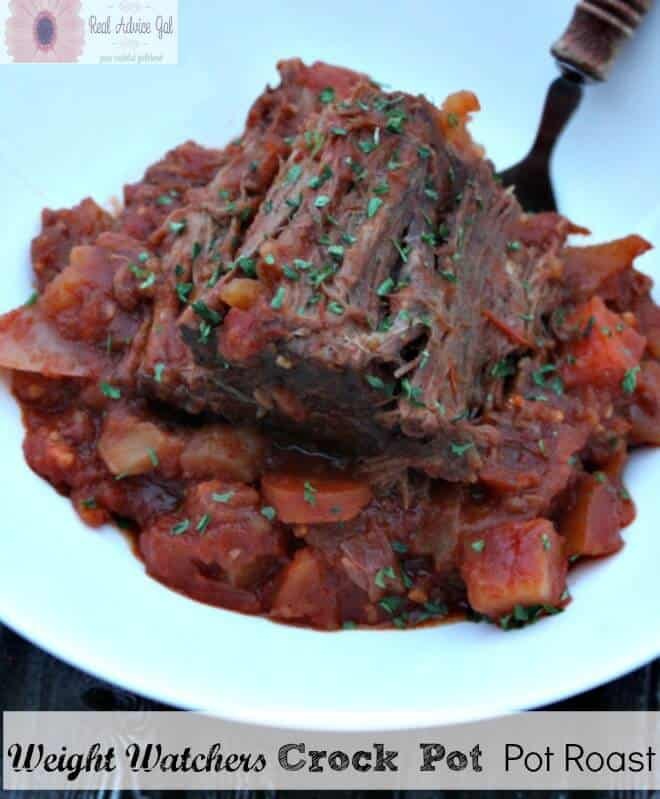 This week I made a delicious melt-in-your-mouth, make-your-house-smell-amazing Pot roast that everyone in my family loved and I’m sure yours will too! I use my crock pot at least twice a week. I don’t know about you but I have much better energy in the morning, so if I can have dinner cooking by 9 am it’s a win win for everyone. 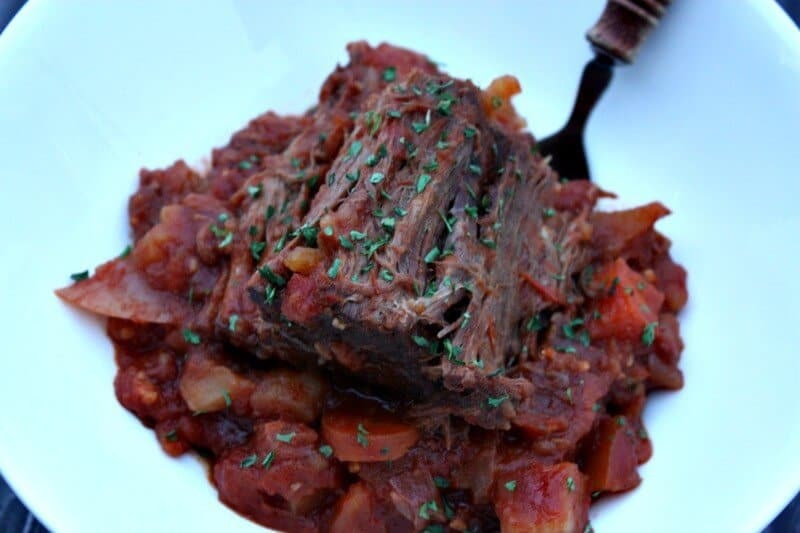 This Weight Watchers Crock Pot Roast Recipe is a set it and forget it recipe that doesn’t require much works, tastes great, and is only 8 Points for a 1 1/2 cup serving. The difference is upping the carrots, and lowering the amount of potatoes, and I promise you won’t even miss them! Let’s check out how to make it shall we? 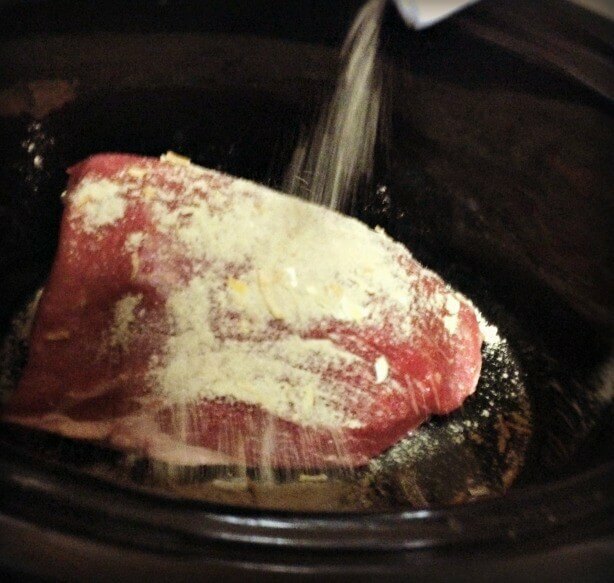 First, Place your roast at the bottom of your crock pot and cover in your onion soup mix. Next, add your potatoes, carrots, onions, and garlic to the pot. You can add a pinch of salt and pepper to taste if you would like too. Then, add your can of crushed tomatoes and cover. Cook on LOW for 6-8 hours or on HIGH for 3-4 hours. After your roast has cooked through stir everything together. That’s it! It can’t get anymore simple than prep and go right? 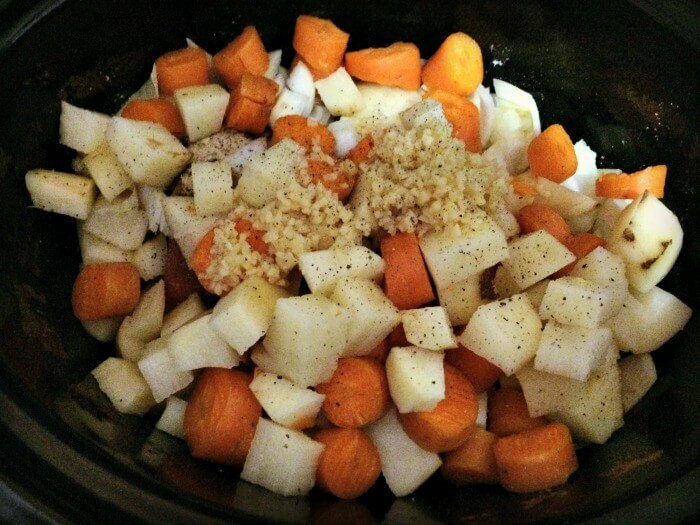 This roast is SO tender and flavorful and the veggies cook down wonderfully. Even the leftovers I had for lunch today were good! 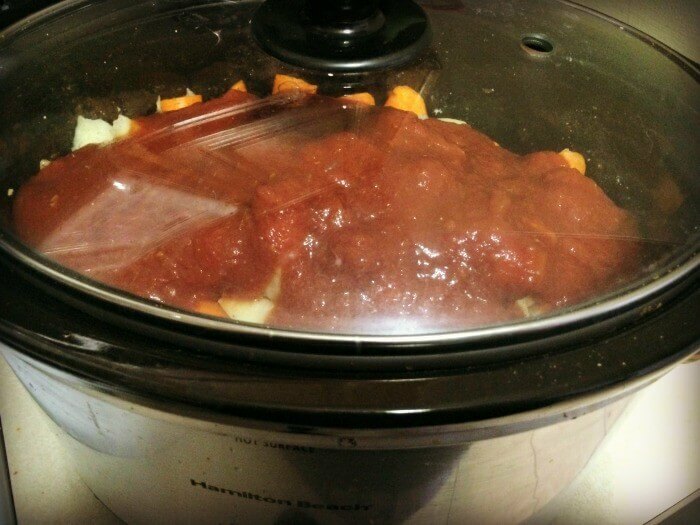 This is by far my favorite Weight Watchers Recipe that I’ve made so far!